The people have spoken, and they want Jimmy Kimmel to host the 2017 Oscars! And the people have also spoken, and said that it would be okay if I hosted the 2017 People’s Choice Awards. Well, one person said that. Luckily, that person was Les Moonves, so no one questioned it. 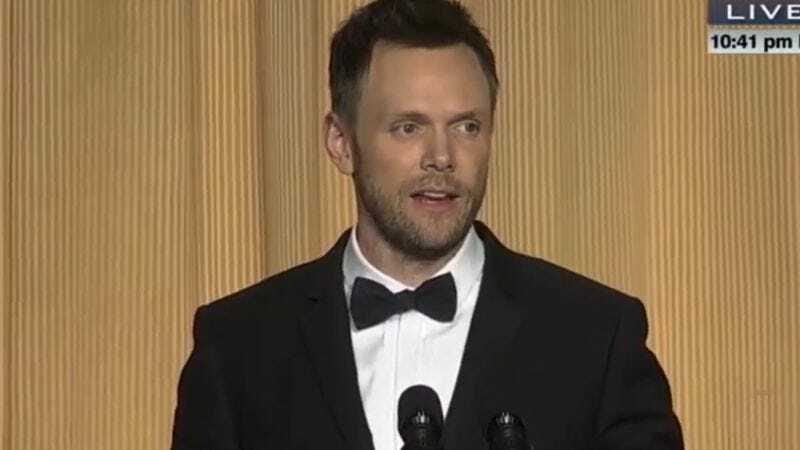 Those who want to check out McHale’s hosting chops should watch his performance at the 2014 White House Correspondents’ Dinner. The footage proves that this guy can channel breezy, confident Jeff Winger even under extremely high pressure circumstances. A reminder: Unlike those other awards voted on by showbiz insiders and press junket lowlifes, the People’s Choice Awards bend to the will of the masses. So those who want to cast their votes may do so here. And, yes, The Great Indoors is nominated in the category of Favorite New TV Comedy, where it will hopefully lose in a landslide to The Good Place.